Self-striping Lodge lends eye-catching color to this throw made of mitered squares. 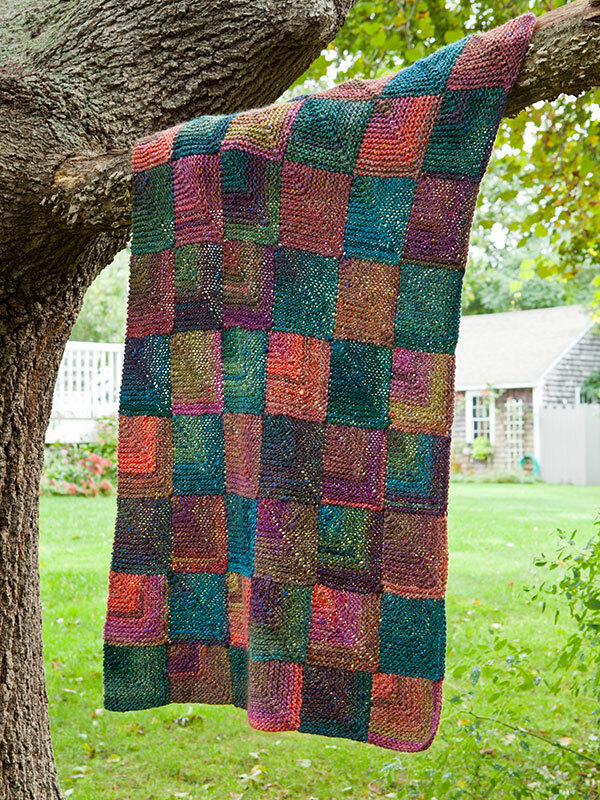 This throw is made up of 54 squares – 27 of each color. Each square should measure approximately 4½” square. Squares are joined as you work. Row 3 (RS): K14, k3 tog, k14 – 29 sts. Row 5: K13, k3 tog, k1 3 – 27 sts. Row 6: Knit. Continue in this manner to dec 2 sts in center on every RS row until 3 sts remain, end on WS. Next Row: K3 tog. Leave last st on needle and change to B. With RS facing, using B, pick up and k14 sts along left edge of Square 1 (as it faces you), then cast on 16 sts – 31 sts. Complete same as Square 1. Continue in this manner, alternating colors, until you have a row of 6 squares. With B, cast on 15 sts, then with RS facing, pick up and k16 sts along upper edger of Square 1. Complete same as Square 1. With RS facing, using A, pick up and k14 sts along left edge of Square 7, then pick up and k16 sts along upper edge of Square 2. Complete same as Square 1. 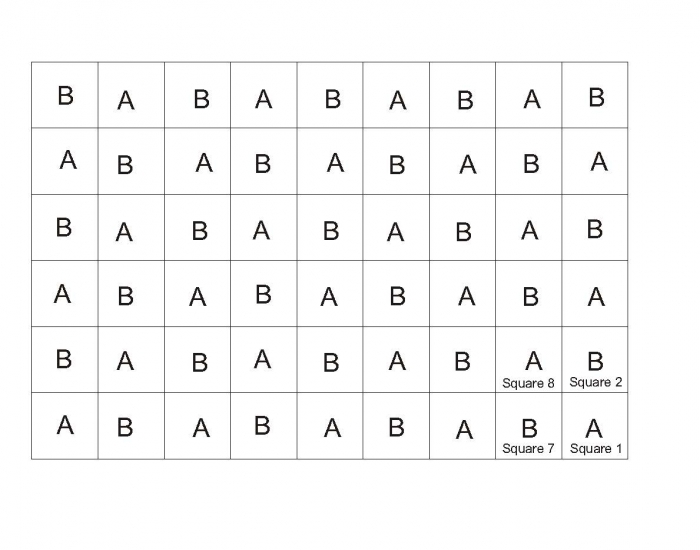 Continue to work in this manner until you have 9 rows of 6 squares each (see diagram. Fasten off last st.